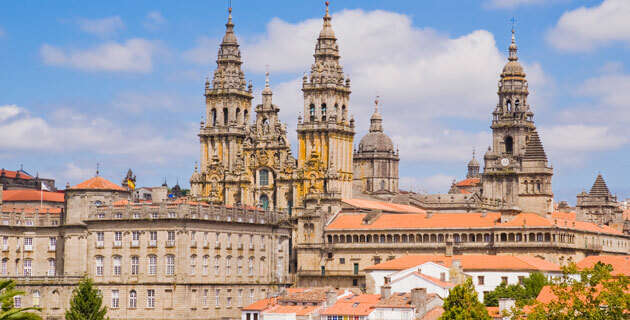 Fortified cities and tiny fishing villages, rugged Atlantic coastline and commanding Pyrenees peaks, iconic shrines to both religion and fine art, and intimate lodgings in historic paradores and pousadas – it all awaits on this singular small group journey from Lisbon across the north of Spain, ending in vibrant Barcelona. Please call if your city is not listed or for land only prices. Prices are per person based on double occupancy and include airline taxes, surcharges, and fees of $683, which are subject to change until final payment has been made. Single travelers please add $1,395. Your $375 deposit is fully refundable up to 95 days before departure. All 2019 tour prices above (excluding airline taxes, surcharges, and fees) are guaranteed. Situated just a few hundred feet from the Lisbon Zoo Metro Station, Corinthia Hotel Lisbon is a short, five-minute ride to trendy, Avenida da Liberdade. The hotel features two restaurants and a three bars, including a terrace lounge in the hotel garden; indoor swimming pool; fitness room; spa; and laundry and dry cleaning services. Air-conditioned guest rooms have private bath with hair dryer, complimentary Wi-Fi internet access, mini-bar, tea- and coffee-making facilities, in-room safe, TV, and phone. The public areas of the Pousada do Porto were converted from a former palace built in 1742 on the banks of the Douro River, which exemplifies Portuguese Baroque architecture and has been classified as a National Monument. The 87-room hotel features pieces from various Oporto museums along with contemporary furnishings, and its amenities include a restaurant and bar; fitness center; outdoor and indoor pool; spa with sauna Turkish bath, and massage treatments; complimentary Wi-Fi internet access; and laundry and dry cleaning service. Air-conditioned guest rooms include private bath with hair dryer, mini-bar, in-room safe, TV, and phone. Considered one of the world’s oldest hotels, the Hostal dos Reis Catolicós as it is also known was built by King Ferdinand and Queen Isabella in 1499 as a hospital for pilgrims. The 137-room parador is situated in the historic Plaza do Obradoiro adjacent to the famed cathedral and its architectural flourishes include a carved entrance façade, vaulted ceilings, stone archways, a Renaissance chapel, and four courtyards. The hotel features two restaurants and a bar, coffee shop, complimentary Wi-Fi internet access, library, gift shop, and laundry and dry cleaning service. Air-conditioned guest rooms are furnished in historical style and offer private bath with hair dryer, mini-bar, in-room safe, TV, and phone. Located in the city center of Leon, the 142-room Hotel Conde Luna is close to the Cathedral, Colegiata San Isidro and the Humedo neighborhood, an old part of the city within the intact Roman city walls known for its many restaurants and bars. Amenities include two restaurants and bar including the terrace on the tenth floor overlooking the city, complimentary Wi-Fi internet access, a fitness center, spa, and laundry service. Air-conditioned guest rooms have private bath with hairdryer, minibar, TV, and phone. The contemporary Melia Bilbao is located in the city center close to the Guggenheim Museum, Museum of Fine Arts, and other cultural attractions, shops, and restaurants. Housing a collection of contemporary art, the 211-room hotel has two restaurants featuring Basque specialties and a bar; wellness center with gym, heated outdoor pool, sauna, and massage and beauty treatments; complimentary Wi-Fi internet access; and laundry and dry cleaning service. Air-conditioned guest rooms have private bath with hair dryer, in-room safe, mini-bar, TV, and phone. Perched on the mountain slopes of the Pyrenees in Monte Perdido National Park, the Parador de Bielsa offers sweeping views of this mountainous region of Northern Spain from its terrace. The 39-room parador features traditional regional architecture with local stone and offers a restaurant and bar, terrace, garden, complimentary Wi-Fi internet access, laundry service, and gift shop. Air-conditioned guest rooms have private bath with hair dryer, mini-bar, in-room safe, TV, and phone. Built in 1952, Hotel Avenida Palace stands in the heart of Barcelona and offers a good location from which to explore. 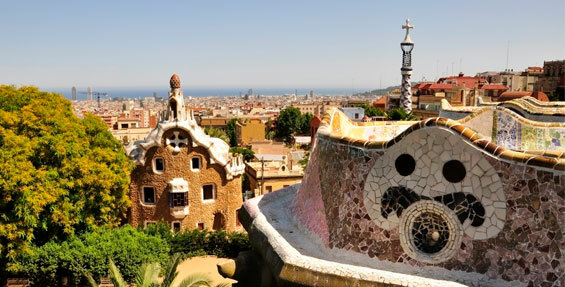 The 151-room hotel is just minutes from La Ramblas, the Picasso Museum, and the museum housing the works of modern architect Antoni Gaudi. The hotel features restaurant and bar, wellness center, fitness room, laundry and dry cleaning services, and Internet access. Air-conditioned guest rooms are fully equipped with private bath with hair dryer, safe, TV, and phone. Discover more of this lively, spirited city. Tremlett captures the Spanish character, history and modern politics in this masterful portrait, interweaving the story of his love for the country (where he has lived for 20 years) with interviews, anecdotes and observation. This collection of 30 stories from a who’s who of contemporary Spanish literature, including writers from Galicia, Leon, the Basque Country, Madrid and Barcelona. A literate, visually rich guide to Northern Spain from Galicia across Asturbias and the Basque Country to La Rioja to the Pyrenees. A compact illustrated guide to the city featuring excellent neighborhood maps and hundreds of color photographs. 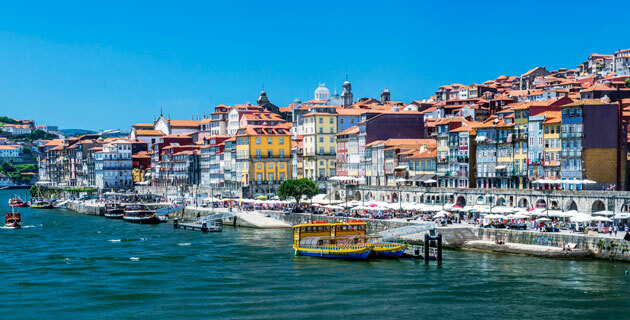 It also includes chapters on the surrounding areas and Lisbon’s coast. 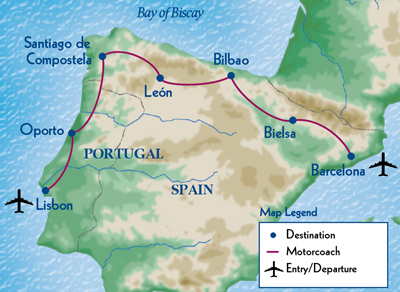 A double-sided full color map of Spain and Portugal at a scale of 1:1,000,000 with good shaded relief, topographic detail, roads and waterways. This is the original guide used by 12th-century pilgrims along the sacred way, reprinted with an introduction by a professor of medieval studies, plus endnotes and a gazetteer. It’s an excellent, hugely informative presentation of this curiosity. Handsome, convenient and up-to-date, this superbly illustrated guide features color photography, dozens of local maps and detailed information on the region’s attractions. A showcase of 125 Portuguese recipes interwoven with tales and anecdotes by the author, a Michelin-starred chef. This big, thoroughly enjoyable cultural history of the city touches on architecture, art, religion and literature from Roman outpost to today. Hancock’s unexpectedly engrossing book explores the culture of wine in Madeira and trade in 18th-century America. Take this book with you to Spain: it’s an absorbing, well-written account of Spanish cultural history from prehistory to the Romans, Jews, Moors, Golden Age and on to Franco and his legacy in modern Spain. Kurlansky’s engaging portrait of the seven provinces of Basque lands takes in everything from language to culinary heritage, role in the Spanish Civil War and seafaring traditions. This gorgeous book celebrates the shrine Santiago de Compostela and the medieval routes through France and Spain – each a World Heritage site – in 220 color photographs. A swift survey from prehistory through the Romans, Goths and Moors to the present. Jose Saramago’s richly detailed account of his journey across Portugal in 1979. He combines his vivid impressions of the Portuguese landscape and people with a dose of history, fiction and meditation. The novelist’s personal and meditative account of journeys along the Route of St. James, from St-Jean-Pied-de-Port in France to Santiago de Compostela.